ClarinetFest® 2016 kicked off Wednesday morning at 9:00 AM with the ICA Research Competition. 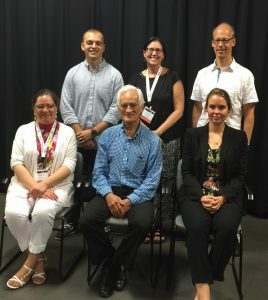 Six finalists summarized their research on a variety of topics relating to clarinet history, performance, pedagogy and literature. 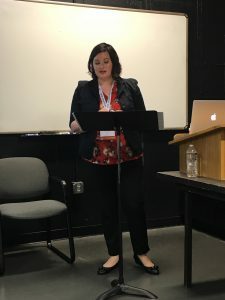 Dr. Yasmin Flores began with her presentation “Small Gems in the Grand Scheme of Things: The Concertstück and Drei Lieder by Gustav Adolph Heinze.” Flores gave biographical information about Heinze and summarized the two compositions which were central to her research. The Concertstück, Op. 1 for Clarinet and Orchestra originally sparked Flores’ interest in Heinze when she heard a recording by Dame Thea King. Flores performed excerpts from Drei Lieder, Op. 23 for Mezzo-Soprano, Clarinet, and Piano, assisted by Dr. Colleen Jennings (soprano, University of Guam) and Dr. Yes Sik Wong (piano, Kansas City Ballet). 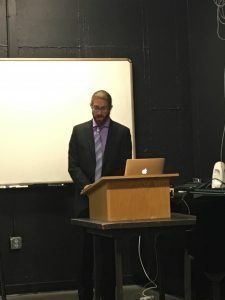 Dr. Daniel Becker, a recent graduate of the University of Arizona, presented “The Clarinet-Percussion Duo in the 21st Century: A Survey and Discussion of Works from 2000 to July 2015.” Becker spoke about the inception of the clarinet-percussion duo and its growth from the 1950s to the turn of the century, where it progressed from a “miscellaneous chamber grouping” to an “emerging genre.” Becker documented over 130 duos for clarinet and percussion in his dissertation and highlighted performing ensembles and notable works. He interviewed current duos such as Transient Canvas, Sources Duo, and Duo Rodinia, who are actively commissioning works and contributing to the genre. 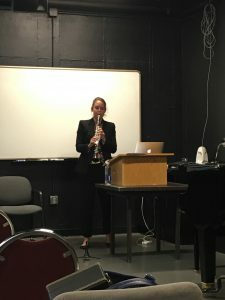 Dr. Anna Roach, who recently completed her Doctor of Musical Arts degree at Texas Tech University, introduced “Uncovering Deon Nielsen Price: A Biography and Case-Study of Her Clarinet Works.” Through communications with this living composer, Roach aimed to bring attention to Price’s many notable works for clarinet. Price calls her own compositional style “contemporary classical” and she is still writing for the clarinet today. 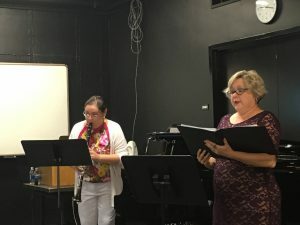 Price’s son, who Roach interviewed extensively in her research, is a clarinetist and performs with his mother in their group Price Duo. Roach concluded with an analysis of Price’s unaccompanied solo for clarinet Hexachord: View from Malibu. 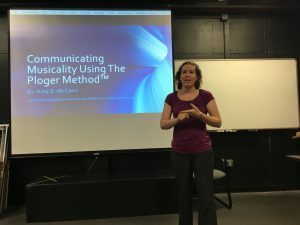 Dr. Amy McCann provided a framework for creating a musical performance with her research “Communicating Musicality Using the Ploger Method.” McCann’s presentation was based on Marianne Ploger’s trademarked musicianship program. McCann explained the method, practice and application of Ploger’s ideas. She demonstrated the relevance to clarinetists by analyzing Mozart’s Clarinet Concerto using the Ploger Method. McCann labeled intervals according to Ploger’s dichord theory to show the audience how to make musical decisions and help students take ownership over their performance. Lindsay Braun, adjunct professor of clarinet at McMurry University, presented “The Mystery of the Chalumeau and its Historical Significance as Revealed Through Selected Works for Chalumeau and Early Clarinet by Antonio Vivaldi.” Through her research, Braun challenged the notion that the clarinet simply evolved from the chalumeau and quickly replaced it. Instead, Braun provided examples of Vivaldi’s compositions that use both clarinet and chalumeau for their unique timbral qualities. 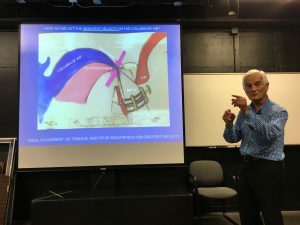 The competition concluded with Ron Odrich’s topic “Science in the Art of Legato.” As a former student of Daniel Bonade, Robert Marcellus, and Buddy DeFranco, Odrich was able to draw on personal experiences and communications as well as scientific theories in his research. His central idea was the formation and control of the column of air in clarinet playing. Odrich cited diagrams showing how individual physiology will change the way each player achieves the ideal air column. He used photographs of former teachers and notable performers to show variations in their embouchure. He had the audience lisping, rolling their lips, and yawning to experiment with placement of the embouchure and “posterior chamber” or soft palate. The six finalists were excellent and presented judges Gregory Barrett (Northern Illinois University, U.S.A.), Wesley Ferreira (Colorado State University, U.S.A.), and Margaret Donaghue Flavin (University of Miami, U.S.A.) with difficult choices. The first-place winner was Ron Odrich. He won a cash prize of $1,000 and the opportunity to publish his findings in The Clarinet. The second-place winner was Yasmin Flores. She won a cash prize of $500. The judges also awarded an honorable mention to Anna Roach. The preliminary-round judges were Jackie McIlwain (University of Southern Mississippi), Kate Young (Louisiana College), Keith Lemmons (University of New Mexico), Madelyn Moore (Kilgore College), and Chris Nichols (University of Delaware). The ICA would like to thank all of the judges for their hard work, and all those who submitted papers for consideration for this year’s competition. The Research Competition winners will be presented with their awards Saturday evening at 7:30 pm in the Lied Center Auditorium. Previous Post: ClarinetFest® 2016, Day 1: Greetings!